WITHOUT LODGING: VIA PAYPAL: R$ 650,00 (fou hundred twenty Brazilian Reals) as admission fee + as Paypal’s fees. WITH LODGING: VIA PAYPAL: R$ 720,00 (four hundred eighty seven Brazilian Reals) as admission fee + Lodging fee + Paypal’s fees. The PAYPAL payment option above will be available in FEMUSC REGISTRATION SYSTEM only for candidates accepted for matriculation/admission. Just the payment of the admission fee until october 30th, 2018 ensures the vacancy and presence as a FEMUSC 2019 participant. c) Applications will only be considered for enrollment when the rules and regulations contained herein are fully accepted by the applicant, which will constitute a contract of participation. d) Participants who have their enrollment canceled due to noncompliance with the rules herein will not be entitled to receive their Certificate of Participation, and will be immediately excluded from the FEMUSC accommodations and meal plan, being also unable to participate in classes, rehearsals, concerts or any official FEMUSC activity as a participant. g) Cases not covered by these rules and regulations shall be settled by the Administration and the FEMUSC Organizing Committee. 2.2 All participants must register in person, providing the same photo identification document whose number was given in his/her application form. Participants who presented a different document, or who do not have the same document in hand as was used to submit their original application form may not be allowed to register and may not participate in FEMUSC. 2.3 Participants must register at the FEMUSC Office between 2:00pm on January 23th and 1:00pm on January 24th, 2019. Participants who are not registered by 1:00pm on January 24th 2019 will have their registrations canceled, and the system will automatically offer their place to the next person on the waiting list in their course. There will be no return on the cancellation, nor will there be refund the Admission’s Fee. 3.1 Participants shall remain in Jaraguá do Sul until the end of all FEMUSC (Grand Closing Concert) on Feb 2th, 2019, expected to start around 8:00pm and closing around 10:00pm. 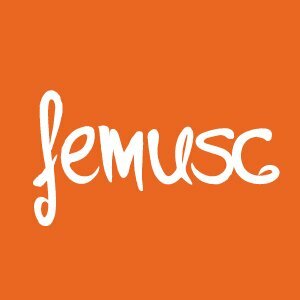 Participants who are absent from FEMUSC activities without prior approval from management will have their FEMUSC registrations canceled, and will not be entitled to receive the Certificate of Participation nor a refund of their Admissions Fee. 3.4 When all the attendance, performance and conduct criteria are met, the participant will be entitled to the Certificate of Participation containing details of classes, teachers, projects and workload. The Certificate will be send by e-mail (pdf) by 15 days after the festival. Important: the original authorization must be handed by the participant to the FEMUSC Office along with all other needed documentation when registering in person between January 23th and 24th, 2019. Underage participants who do not present this original authorization at the time of the in-person registration may not be allowed to register at FEMUSC, and will have their registration canceled. 5.6 FEMUSC is not responsible for the consequences resulting from any last minute change. 6.1 No participant may invite persons who are not related to FEMUSC to participate in classrooms, chamber music coachings, concerts, meals, or sleep in dormitories without proper authorization from the FEMUSC administration. 6.2 The premises of the SCAR and other learning spaces on the FEMUSC campus are available only for participants, teachers and the FEMUSC administration. 6.4 The spaces selected for the classrooms should be respected for that purpose. Participants will not be allowed access to administrative areas, and will not be allowed to use the premises for sleeping or resting. 7.2 The participant authorizes the use of his/her name, artistic presentations, images and voice, giving freely all economic rights and copyright of the works sent, allowing use thereof, without any time limitation, as an example, photographs, posters, films, commercials, in any medium of communication used by the FEMUSC organization for their marketing and fundraising campaigns, including but not limited to, television media, newspapers, magazines, outdoors and/or digital transmission media, including the possibility of assigning these rights to others. c) Silence in the dormitories shall be observed from 10:00pm to 7:00am, during which period the lights will be off. Instrument practicing is allowed in the dormitories outside of these quiet hours. e) Participants who are minors and are not present in their bedroom by 11:00pm will be expelled from the dormitories and from FEMUSC. k) Animals of any kind are prohibited in the dormitories. q) Dormitories guests are obligated to use appropriate behavior, treating other participants, officials and staff with respect, civility, making appropriate use of the lodging facilities, maintaining and preserving the integrity of the infrastructure. s) Dormitory residents are not permitted to transit between rooms and locker rooms inappropriately clothed, wrapped in towels, in underwear or bathing suits, or in pajamas that might generate discomfort to dormitory staff and/or other residents, under penalty of exclusion from FEMUSC. u) The FEMUSC INSTITUTE reserves the right to control through call, the presence of minor students in their respective lodging, controlling the time limit as well as note and report any student who violates the rules of accommodation, resulting in possible penalties.